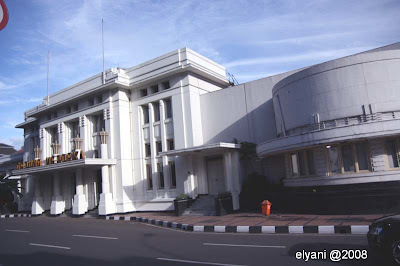 Inspired by Toni's recent trip to Bandung, I went to Bandung a day after Christmas and took several shots of the art deco heritage there. I was not really satisfied with the results but I don't like to keep them too long in my archives too. All photos were taken by Canon 450D & Tamron 17-50mm/f2.8 lens. Sorry, long time no post!